Preventative antibiotics can be routinely given to farm animals – particularly to pigs and poultry - to compensate for the substandard living conditions where disease outbreaks are common and harder to control, and to prevent infection, for example in the early weaning of pigs. Estimates suggest that in Europe two thirds of our antibiotics are used on livestock animals. The overuse of antibiotics has become a growing concern as there is strong evidence to suggest that it has contributed to an increase in the development of antibiotic-resistant bacteria, which can spread to people, rendering antibiotics ineffective for both humans and animals. According to the latest estimates, 73 percent of the world’s antibiotics are used in farming and the EU’s position on farm antibiotic use is now largely consistent with that of the World Health Organization, which last year produced guidelines on farm antibiotic use. The WHO called for an end to preventative group treatments and for severe restrictions on the use of certain antibiotics classified as high-priority critically important in human medicine. This new legislation is a huge step away from preventative group treatments of healthy animals towards a more responsible use of antibiotics in livestock farming. Compassion in World Farming has been working with the food industry to encourage the adoption of farming practices that prioritise animal health and welfare, reducing the need for antibiotics to be routinely used. 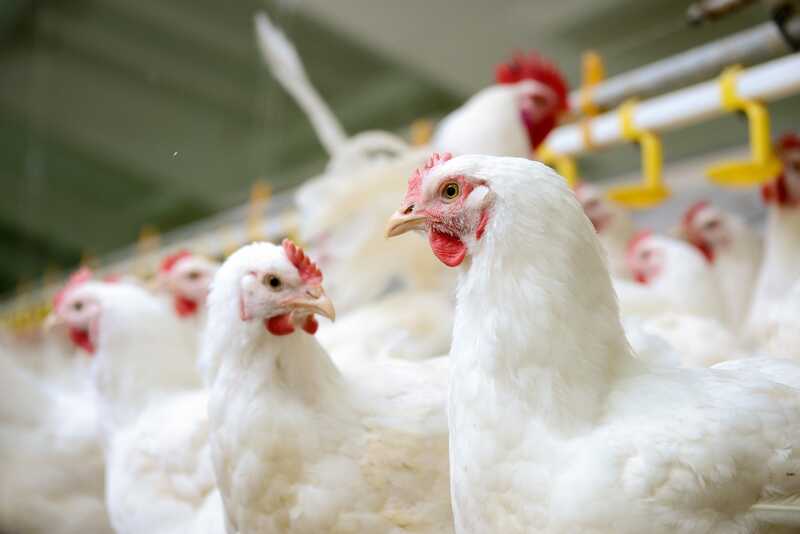 Making improvements to production systems – such as the lowering of stocking density and using more robust breeds – are essential to significantly lower or remove the need for, antibiotics. 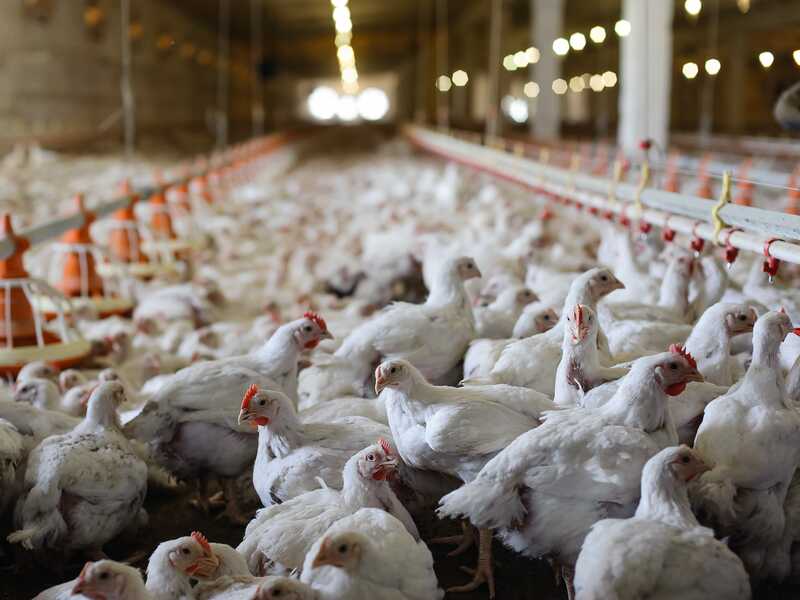 For example, recent data from the Netherlands (2016) showed that market concepts using slower growing broiler breeds used more than 3 times less antibiotics than those using fast growing breeds. Compassion has developed an Antibiotic Stewardship Programme (ASP) to encourage companies to adopt a roadmap for responsible antibiotic use with the aim of eliminating or robustly regulating the use of antimicrobials. Ines Ajuda, Research Manager, Food Business at Compassion adds: “By operating a higher welfare system - underpinned by good management and good welfare - any company with animals in its supply chain can reduce or totally remove its reliance on antibiotics. The Government says it intends to implement the provisions of the new legislation, but refuses to accept that the EU legislation bans preventative group treatments. The Government’s Veterinary Medicines Directorate claimed, incorrectly, that the legislation is ambiguous and does not restrict the administration preventative treatments to individual animals. Michael Gove said that the Government will “work constructively with stakeholders to agree how these restrictions can be implemented in practice”, which suggests that there is no guarantee the UK will in practice ban preventative group treatments.